You are stopped at a light on a small town road. Next thing you feel is a high impact smash to your car from behind. Glance in the rearview and sure enough, you have been rear-ended. The person who hit you gets out, apologizes profusely and pleads with you not to call the police or involve insurance. She is willing to pay for the damages out-of-pocket. Seems harmless enough. But, it’s not. High or low impact rear-end collisions are a primary cause of whiplash and can cause serious neck or back injuries. However, no matter how serious or minimal your injuries are, we will fight hard for the compensation to take care of your medical bills, pain, and lost wages. If you are injured in a rear-end accident, fault will usually not be an issue in your case. Unless your brake lights didn’t work or you stopped for no reason, the driver who ran into you is presumed to be at fault. However, proving your injuries to the insurance company may be an issue because insurance companies are after their bottom line: to save money! When a car is struck from behind, it may not show as much as damage as a vehicle that is involved in another type of accident. Car bumpers are designed to withstand impacts of slow to moderate speeds. Unfortunately, your body is not. The sudden impact of a rear-end collision can cause traumatic brain injury, spinal injuries and other trauma to the body. However, if your vehicle was not seriously damaged, the insurance company may use that lack of damage to argue that you could not have been seriously injured. You should never settle your case for what an insurance company offers without talking to an experienced car accident lawyer in Orlando. Injuries suffered in a rear-end collision could affect you for the rest of your life. However, once you accept an offer from an insurance company, you will give up all rights to future compensation for that accident. If you are contacted by the insurance company of the person who injured you, don’t say anything and don’t sign anything until you talk to our car accident lawyers. Were You Injured in a Rear-End Collision? Contact Us Day or Night. 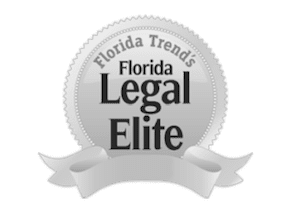 At The Umansky Law Firm, our accident lawyers represent people who are injured in rear-end collisions and other types of accidents in Orlando and the surrounding Central Florida communtities. To schedule a free initial consultation with an Orlando rear-end collision injury attorney at The Umansky Law Firm, contact us through this website or call (407) 228-3838.